The median home value in Henderson is $327,000. Henderson home values have gone up 11.6% over the past year and Zillow predicts they will rise 6.6% within the next year. The median list price per square foot in Henderson is $182. Red Rock Hotel and Casino has built-in entertainment for Summerlin visitors and residents, including restaurants, shopping, concerts, gambling, a movie theater and lounges. 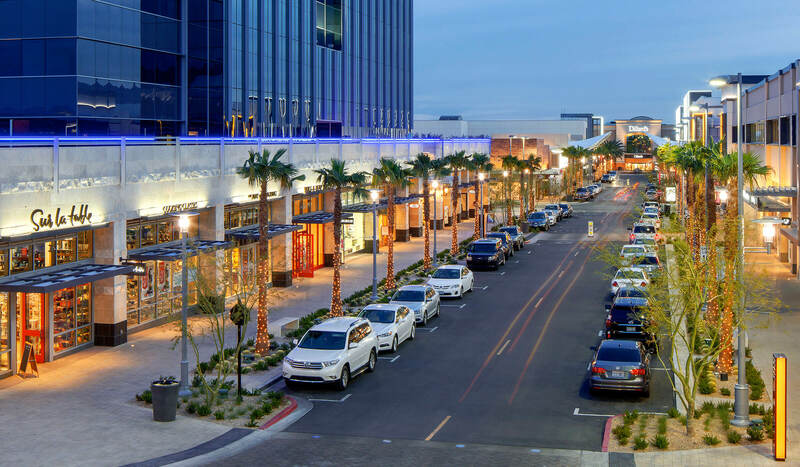 Also in Summerlin is Downtown Summerlin, an outdoor shopping district with 125 stores and restaurants, a movie theater, events and a farmers market. City National Arena, the home-away-from-T-Mobile of the Vegas Golden Knights, is packed every day with hockey-crazed locals. Green Valley Ranch Hotel and Casino is very similar to Red Rock Hotel and also has entertainment, gambling, concerts and lounges. Henderson is home to the District at Henderson Ranch, which is an outdoor shopping district with a variety of stores, restaurants and events year-round. Also near Henderson is the Galleria at Sunset shopping and dining area. Although the Town Square shopping center is centrally located in the Vegas Valley, it is a little closer to the Henderson area. Henderson will also be home to the Raiders’ practice stadium. 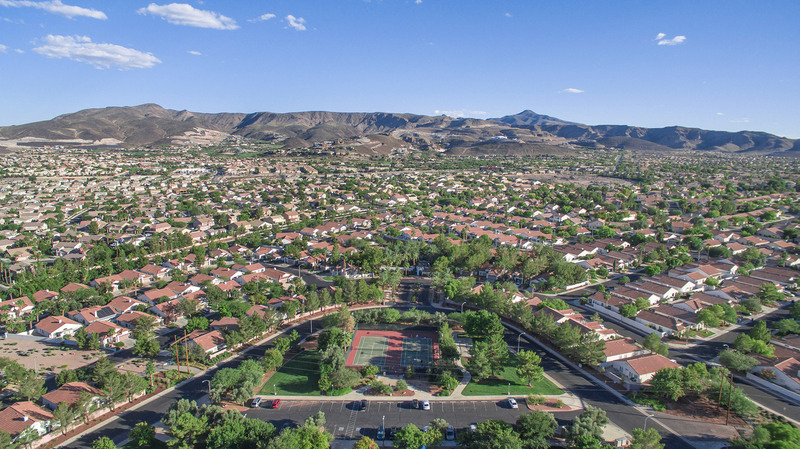 Summerlin boasts over 150 miles of trails within the neighborhood perfect for walking, biking and enjoying the sunshine. The community is also minutes away from Red Rock Canyon, a 200,000-acre conservation area full of scenic drives, hiking trails, wildlife and spots for biking and camping. About 15 minutes from Summerlin is Wet ‘n’ Wild Water Park. 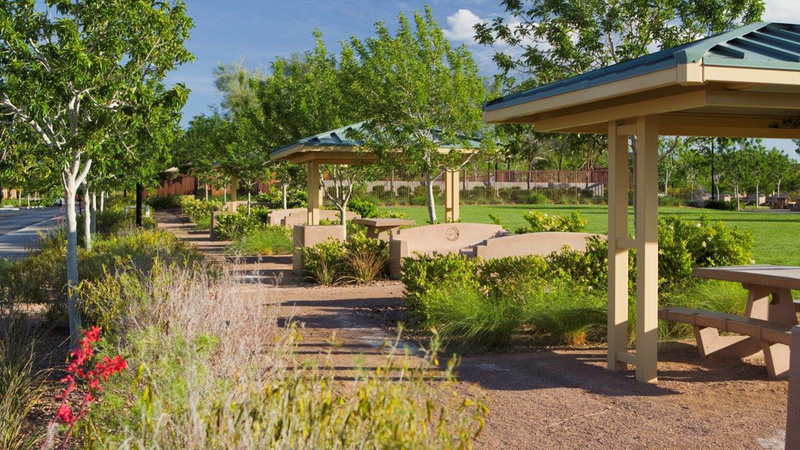 The city of Henderson has 64 parks, and the Green Valley area has a few of the nicest ones, including Discovery Park and Paseo Verde Park. Henderson is also closer to Hoover Dam and the Lake Mead National Recreational Area. Cowabunga Bay Water Park is also minutes away from Henderson. Although both sides of town are considered safe and quiet, there are some variations to their livability. Area Vibes gives Summerlin a 67 livability score, which takes into account amenities, cost of living, employment, housing, weather and more. The area has a low crime rate and a high graduation rate. Summerlin has a Walkscore of 22, as a car is needed to get around the area. The livability score for Henderson is high at 77, and the area gets an A+ when it comes to crime rates. The walkability score is slightly better than Summerlin at 31, and the bike score is 53. Henderson was also recently named The Safest City in the USA to live and raise a family by Forbes. Now that each town has been compared, which is the best in the Vegas Valley? Of course, that’s for you to decide. Since the two areas are so similar, it all comes down to preference, location and what’s best for each individual. We’ll leave you with one last fun fact: Summerlin has 29.9% more rainy days than Henderson according to the Weather Channel. ..."